A fabulous Wine Selectors dinner with Australia’s first families of wine revealed the bright future of this incredible variety. 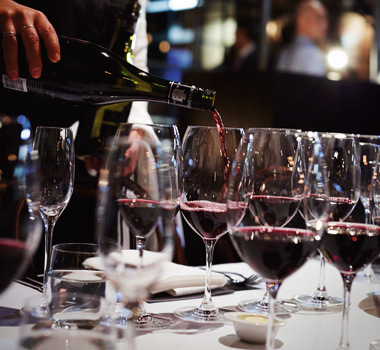 A red wine dinner in the middle of a chilly Melbourne August seemed like a highly appropriate thing to do and what better variety than Shiraz to chase the cold away. 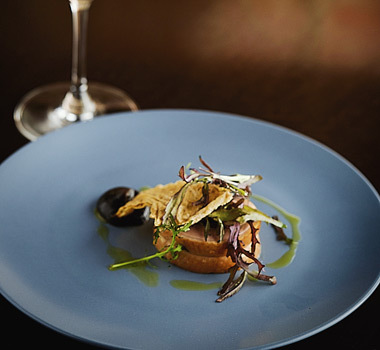 And so a four-course menu by the team at Neale White’s Papa Goose restaurant was devised and 12 great Shiraz from Australia’s First Families of Wine (AFFW) were sourced and the tables set. By the time the Wine Selectors faithful started arriving, it was clear that the dinner was going to be one to remember. Designed to celebrate Shiraz through the expressions of 12 wines from the 12 families that make up the AFFW, the diversity of flavours and expressions from one grape variety was quite remarkable. us; we were privy to a multiplicity of smells, flavours and textures that were being represented from 10 different regions and 1300+ collective years of winemaking experience. On hand to help host, pour and manage 1000-odd glasses of Shiraz were Katherine Brown, Brown Brothers winemaker and Chairperson of the AFFW Next Generation, Justine Henschke, PR for Henschke Wines, Justin Taylor, export manager for Taylors Wines, Sally Webber, DeBortoli family ambassador and Jeff McWilliam, CEO of McWilliam’s Wines. The food was awesome and the wine a perfect foil for the cold and wet. 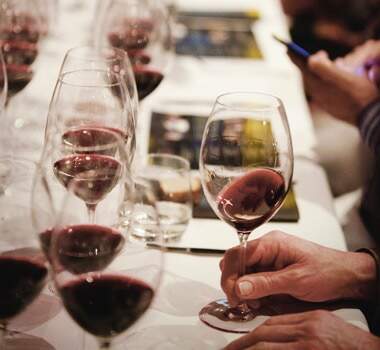 And as the family anecdotes from each of the AFFW members were told, the conversation eventually found itself reflecting on the future of Australian Shiraz. “So now it’s all about educating people on what style comes from where, so they know where to go for something specific. Look at tonight, we have tried 12 different wines of the same variety across many different regions, showing small nuances from where they have been sourced and that’s pretty incredible. “The future for Shiraz is in blends,” she added. “It’s such an intense variety, you have pepper and spice and there are some varieties you only need a little of and it brings out all these other great characters. So what about hot areas, those that built the wines that put us on the map like Barossa, McLaren Vale and the Clare? Justin Taylor thinks that Shiraz is a variety that can deal with the heat and with careful winemaking, the future for warmer styles is still bright. 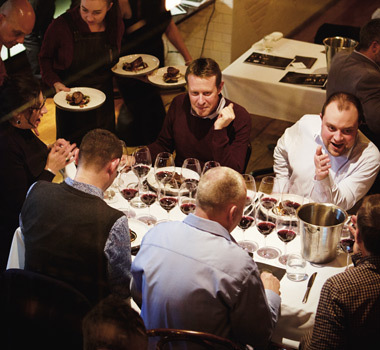 Jeff McWilliam agrees and is happy that the diversity we are seeing has extended to a place where the expressions of Shiraz that emulate the O’Shea Hunter River Burgundies that the Hunter Valley does so well are gaining popularity again. “We are going back to medium bodied wines, just like the great old wines that came from Mt Pleasant,” said Jeff. “I love McLaren Vale and Barossa Shiraz, but I know the wines we do best are in that style of the old O’Shea wines.